Colombia, Panama, and back to the USA during the month of October! Farmfolio’s team has been burning up the road prepping for our newest project and hitting the investment circuit again. Instead of telling you how many miles we have traveled, I think it is more interesting how many cups of coffee we have had… 4 to 5 cups a day times 30 days by a team of 5 = 675 cups of coffee! We may need to add a coffee budget on future offerings. 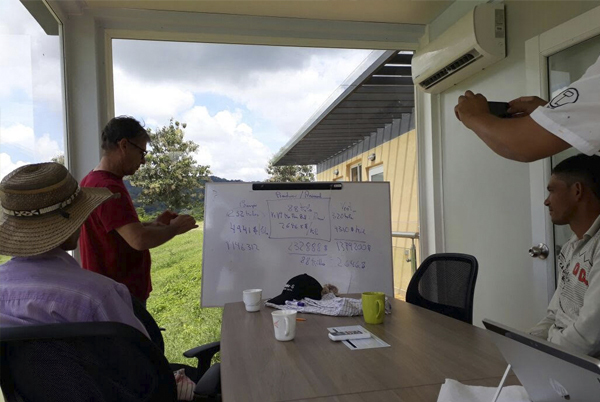 We spent the first two weeks of October in Panama working with our newest partners prepping for Panama Golden Pineapple (PGP) offering. We are only a few days from launch and we have really put together something very special on this project. If I had to write down all of the characteristics for the perfect partner, it would have to mirror what Paul and Edna Vergara embody. These people are pros and when you see what we have put together with this veteran operation, you will see just why we see it that way. Farmfolio made the first seed funding into PGP and the fields are already being prepped for planting and implementation. We have had a very positive response to the project thus far and we believe it will be sold out very quickly, so make sure you get your reservation form. This one won’t last long! Over the last few weeks, we have been back in capital raising mode and Farmfolio has been garnering the attention of several investors worldwide. We have been contacted by several development banks and more interestingly, we have caught the attention of a few large family offices. It seems many investors are now preparing for a potential shift in the markets and agriculture is becoming an increasingly attractive market hedge against traditional methods such as gold. Last week, while attending the New Orleans Investment Conference, famed investor Dennis Gartmen was quoted saying, “Everyone needs to own agriculture in some form. Stocks are too high and agriculture is preposterously inexpensive”. Can you say: right place, right time? The whole team made the trip to New Orleans, quite the international crowd: a Brit, a Swiss/Mexican, two Colombians, two Panamanians, and a couple of gringos rounded out our crew last week in New Orleans. 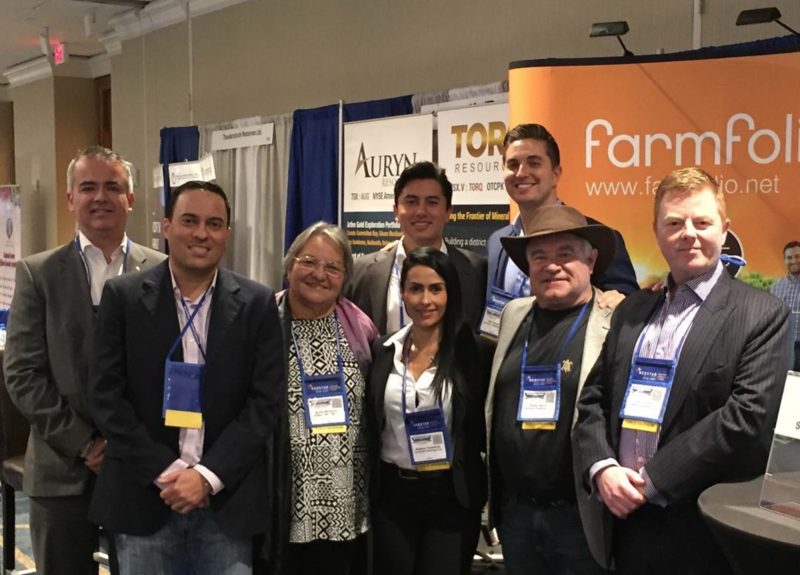 This was a great week at one of the oldest American investment conferences! A great lineup of speakers, including Tucker Carlson, Robert Kiyosaki, Peter Schiff, Dennis Gartman, and many more, gave us a glimpse of what is to come and how we can protect ourselves. We learned that Farmfolio is perfectly positioned to take advantage of a potential change in markets. During our corporate presentation, we discussed opportunities within agriculture and how Farmfolio allows for direct access to this sector in an unprecedented way. During the conference, we secured reservations on over $1,000,000 worth of investment and we anticipate additional investment to follow. We are very excited to announce plans to construct a tropical sawmill under the umbrella of the Ganaderia Pietrasanta companies. This will be done in an effort to maximize the value of the teak located within GP and it presents the first opportunity to vertically integrate the timber market for investors. Originally, we planned to do this as a separate offering. However, with the addition of Panama Golden Pineapple and the amount of capital required, we opted to roll it into the existing offering. The mill will be used for processing the wood grown at GP as well as that from other farms in the area. The milling process will take raw wood and turn it into blocks and dried molded board, which provides a move upstream in the supply chain, thus increasing the margins on teak sales. The mill also presents a significant growth opportunity by processing other wood in the area. The department of Cordoba, in which the mill is located, is considered one of the highest quality zones for tropical forestry production in the world. However, there is very little access to sophisticated processing facilities. Therefore, Farmfolio has gathered the interest of over 1200 hectares of 10 to 18-year-old teak plantations to participate in processing on a consignment basis. Based on the projected annual output, there will be enough wood to supply full-time production for the next 10 years. We will be partnering with local milling expert Euro-Sierra’s, who will be contributing equipment at a discount to market value in exchange for an 10% equity stake. Likewise, they will serve as the operations manager for the mill. In addition, we will reserve a 10% equity stake to be offered to local timber growers for the purpose incentivizing a long-term commitment on the part of the plantations to future processing at the mill. We have located a piece of property that encompasses 2.8 hectares, which will be acquired and titled in the name of GP Agro SAS. The mill will consist of a 2,000-square-meter covered processing facility, with an additional 8,000 square meters for storage, kilns, equipment, and a loading area. We will be preparing the project for the remainder of the year and once the funding of GP II is complete, we will immediately break ground on the facility. So that everyone is clear, this means that we will be injecting another $2,500,000 of value into GP Agro SAS, which is owned by both GP I and GP II Investors. Once this project is complete, it will add significant value to the existing Farmshare units. If you are on the fence with GP, get these units while you can or you’ll wish you did! Over the last month, the team at GP liquidated 368 head of cattle at an average price of 4,550COP per kilo. The heavy rains continued through mid-October and caused delays in new animals being brought into the farm. Meanwhile, several pastures are in recuperation and need additional time to recover from the heavy rains. We anticipate getting back on schedule by mid-November. This should have minimal effect on the December dividends, given we are still managing to stay on track with current selling cycles. We recently contracted with a local cattle expert, Gabriel Jaramillo, in order to advise us on best practices for pasture recovery. We will be doing everything possible to ensure that all options are exhausted in order to prevent future delays with recovery times. 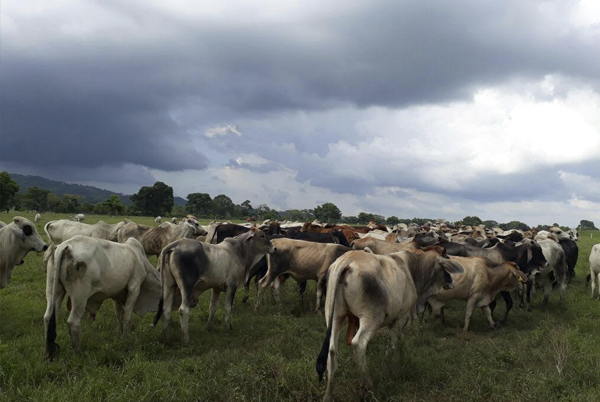 Gabriel will be providing instructions and recommendations on new drainage and fertilization techniques, which will be used next year to increase the productivity of the cattle rotations. I am incredibly proud to announce that we have planted 150 hectares of coconuts and that 26,500 palm trees are in the ground at GP! Our team has worked tirelessly since early April in order to make this ambitious goal a reality. The coordination and effort required to get this done, within this short period, is incredible and we could not have done it without a first class local operations team. This puts us right on schedule with the planting timeline and we will now make the final order of seeds to be delivered in December. These seeds will develop in the nursery for 4-5 months and will be planted in early April. Additionally, to finishing this year’s plantings, the irrigation installation is in full swing. We have completed approximately 30% of the project and should be finished right on time in January. The team is also preparing several dry season projects including the more than 400,000 cubic meter reservoir, which will serve as the primary water source during the dry months beginning in 2019. Joel Posada, who has extensive experience in irrigation design and installation, is heading this project. The existing trees are really starting to mature and most of the leaves have now transformed into grown palm trees, which is exactly what we wanted to see. Some palm trees have already reached heights of 6.5 feet, which is a great sign of progress! Similarly, German Tarazona, who recently returned from a site visit, is recommending that we add trenches in several areas in order to minimize potential flooding in the future. German is also in the process of finalizing the Certification of the GP Nursery, which is an important step in the export process. 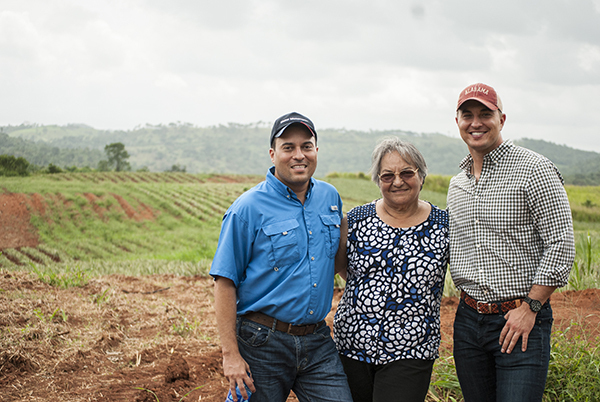 We expect to begin our Certified Organic application next year, while also finalizing the processing of other certifications required for export. Not much activity with the teak this month. We will be implementing a GPS system in the coming months in order to digitally integrate an inventory, which we will hopefully be able to monitor and share online. Given the updates and progress with the Timber Mill, we will be ramping up our thinning schedule to begin processing teak late next year!